Nevada County Grown is bringing together our local farmers, ranchers, chefs, restaurants, wine makers & brew masters for an evening of exquisite flavors. By sourcing seasonal ingredients our county’s top chefs will draw on their talents to create delicacies for the evening. Enjoy new tastes from your old favorites and discover new favorites as we fresh restaurant arrivals to our community. 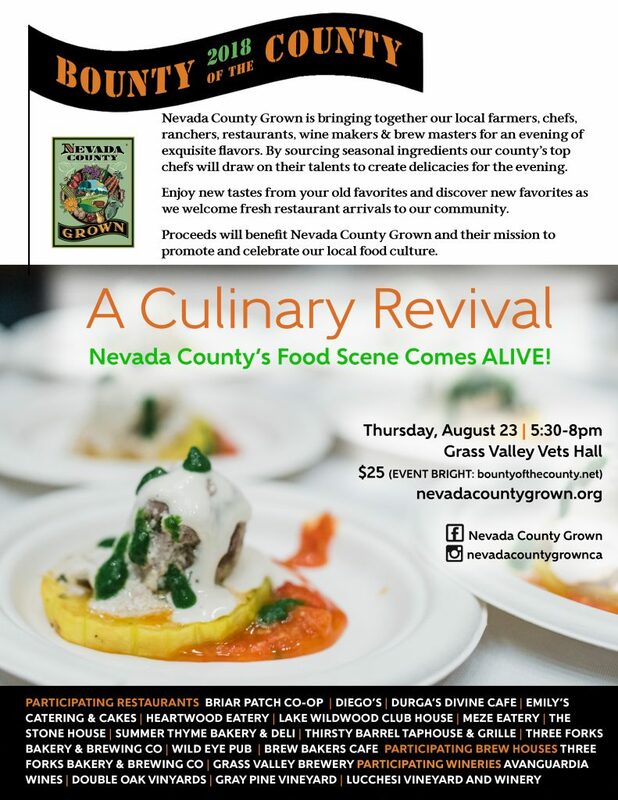 Proceeds will benefit Nevada County Grown and their mission to promote and celebrate our local food culture.